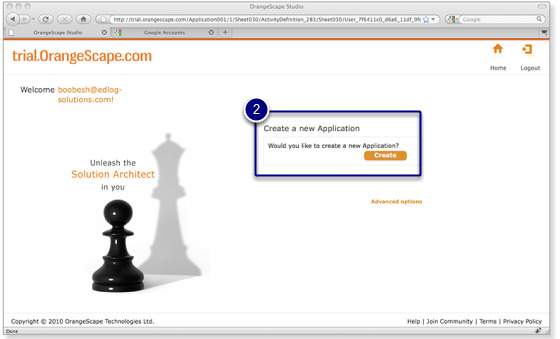 OrangeScape Studio is a 5GL environment that enables developers to create applications visually. You can also subscribe to applications developed by your colleagues and participate in application development or create and publish applications as templates for re-usability. The first step in building an application using Studio is to create a workspace for the application. So let's create a workspace for our example order procurement application. This can be accomplished by following the steps given below. 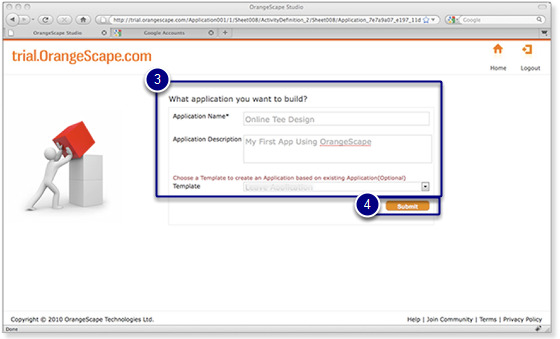 We will be using the template as the base for our example application, and will be building new functionality on top of it to learn OrangeScape. 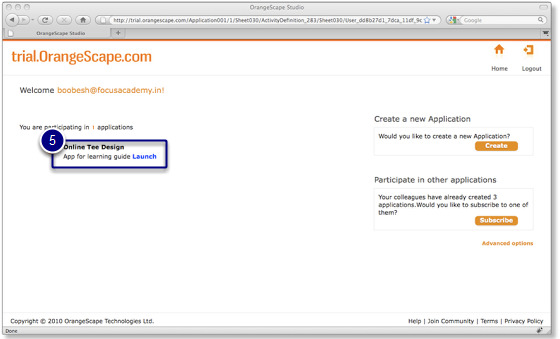 So make sure that you select the template "Learning Guide App Template"! Template is optional. It is not required when building applications from scratch. Click on the "Submit" button to submit your request. Congratulations! You have created your first application on Trial Studio. 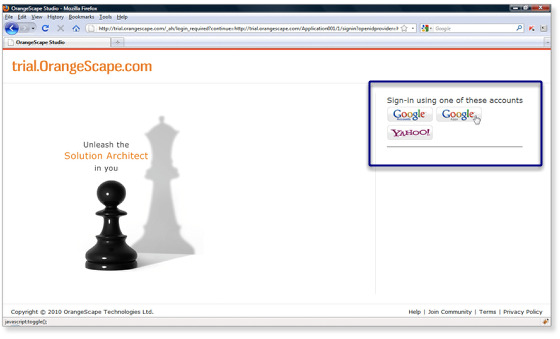 Now let's create an application in Google App Engine so that we can deploy our example applicaion on Google App Engine.